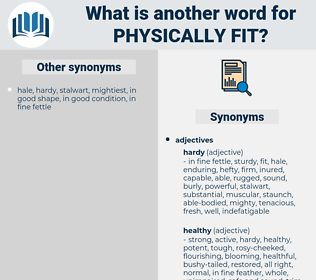 What is another word for physically fit? 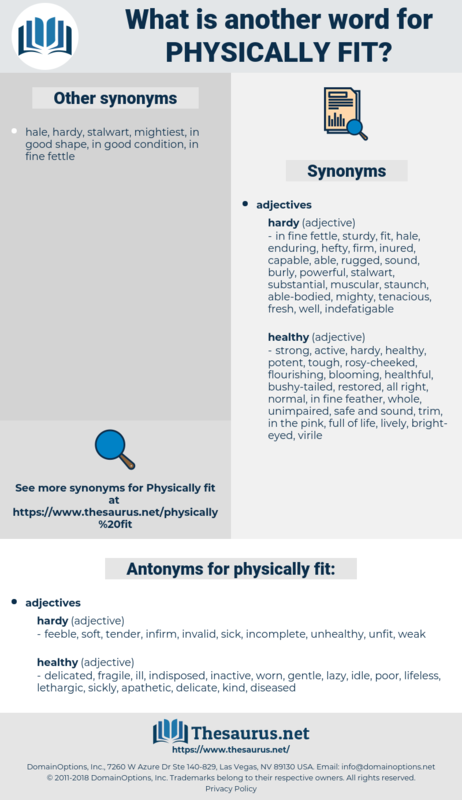 feeble, soft, tender, infirm, invalid, sick, incomplete, unhealthy, unfit, weak. delicated, fragile, ill, indisposed, inactive, worn, gentle, lazy, idle, poor, lifeless, lethargic, sickly, apathetic, delicate, kind, diseased.